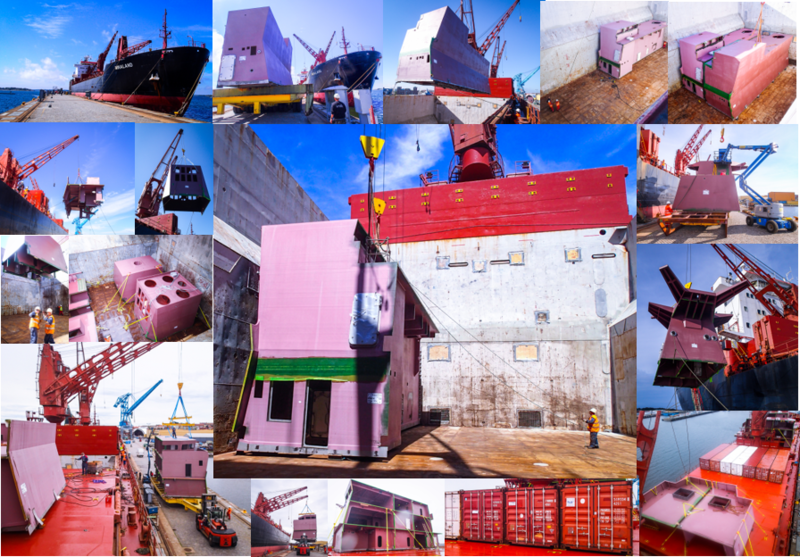 Transport of 11 Composite modules and adjacent equipment from Karlskrona to Kolkata. 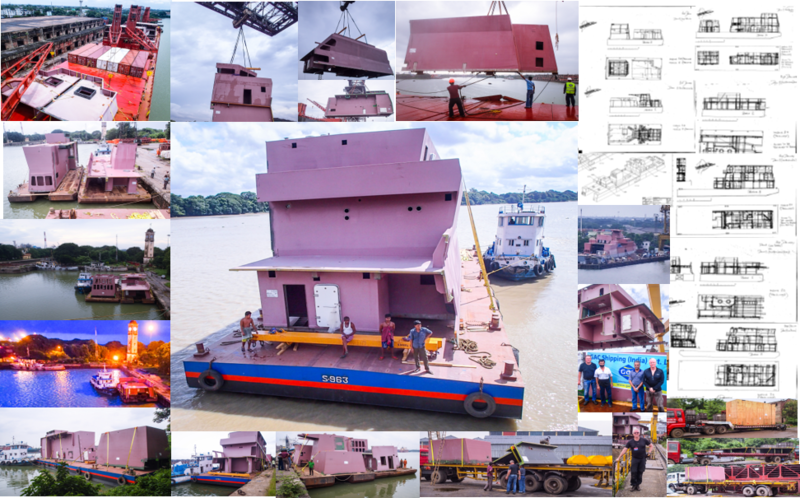 Modules are the superstructure for a serie of Indian Navy vessels, being built in Kolkata. Manufakturer is Thyssen Krupp Marine System Kockums in Karlskrona, Sweden. TransProCon deploy own vessel M/V Minaland to perform the voyage of 1 month, to Kolkata in India. The Modules must be delivered by barge in the river. Resources, logistics, tide and authorithys is challenging. But finally and ahead of schedule the last module is lifted ashore and recieved by the GRSE (Garden Reach Shipbuilders & Engineers Ltd.). TransProCon have succeeded in their 2nd delivery in Kolkata for Kockums.